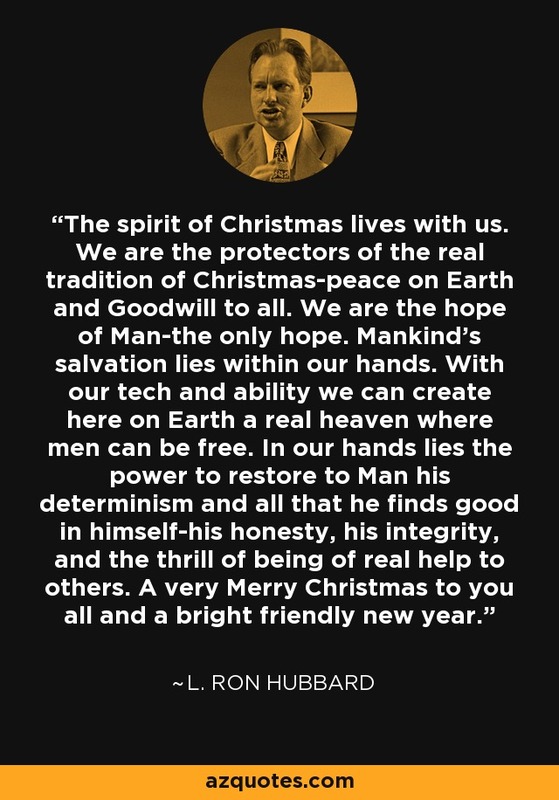 The spirit of Christmas lives with us. We are the protectors of the real tradition of Christmas-peace on Earth and Goodwill to all. We are the hope of Man-the only hope. Mankind's salvation lies within our hands. With our tech and ability we can create here on Earth a real heaven where men can be free. In our hands lies the power to restore to Man his determinism and all that he finds good in himself-his honesty, his integrity, and the thrill of being of real help to others. A very Merry Christmas to you all and a bright friendly new year.